← Join Soh Daiko at the NYBC’s annual Autumn Festival! 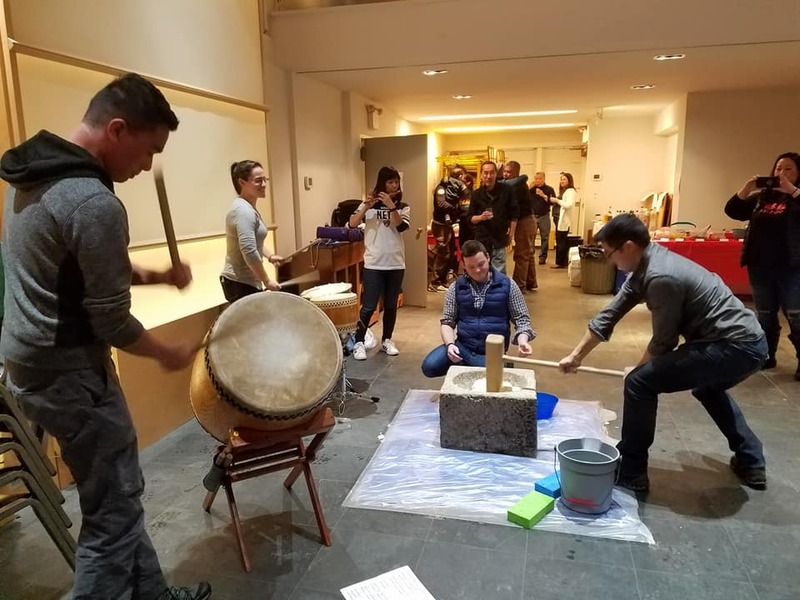 For decades, Soh Daiko has rung in the New Year by hosting an annual mochitsuki event at their home, the New York Buddhist Church. 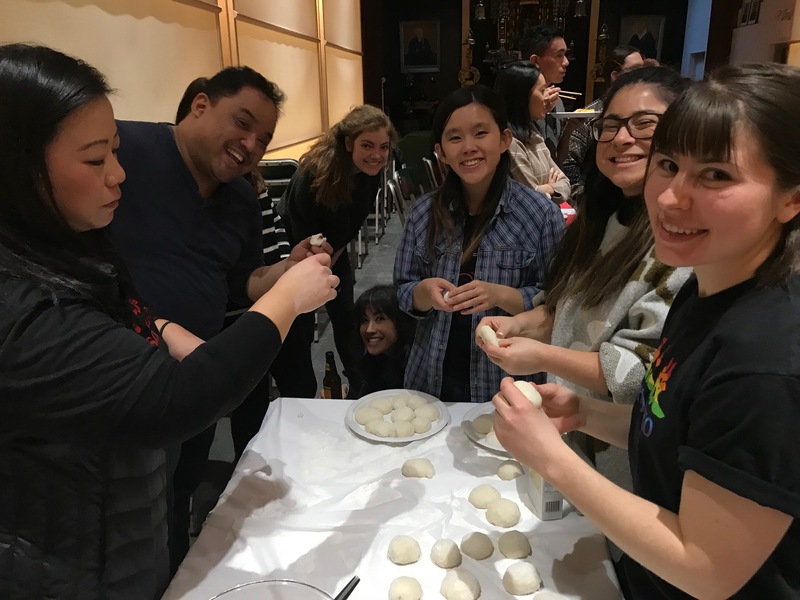 Alongside alumni, family, and friends, we enjoy potluck meals, play music, and most importantly: pound mochi. 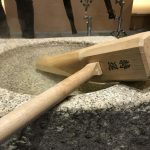 Following Japanese tradition, preparation for our mochitsuki event is a multi-day affair: the mochigome (glutinous rice) is soaked overnight, so that it is ready to be steamed the following day. 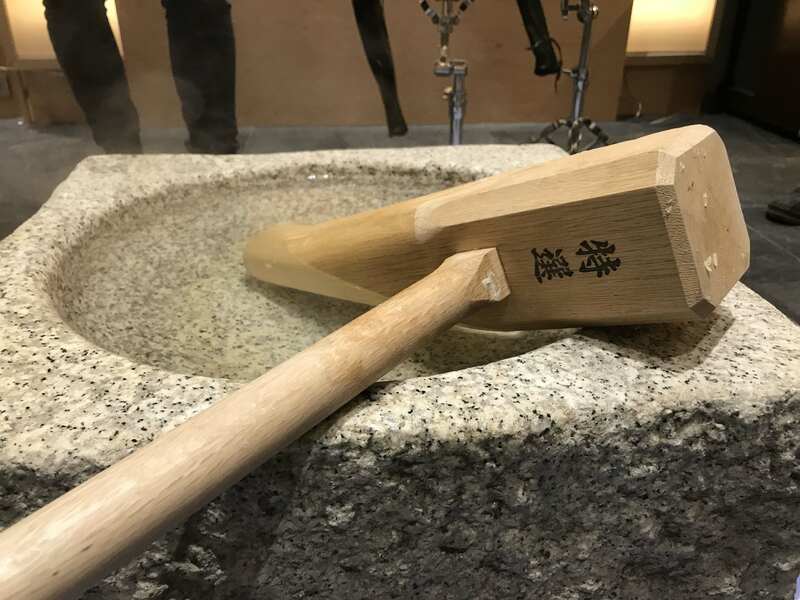 Once the rice has been sufficiently steamed, a batch is plopped into a stone bowl (usu) and a team of diligent mochi-makers pound the rice into mochi using a wooden mallet (kine). Once the mochi reaches the ideal consistency, it is divided into small edible portions, fillings and toppings are added, and finally, we eat! Unique to Soh Daiko, however, is the song we sing as we pound the mochi. 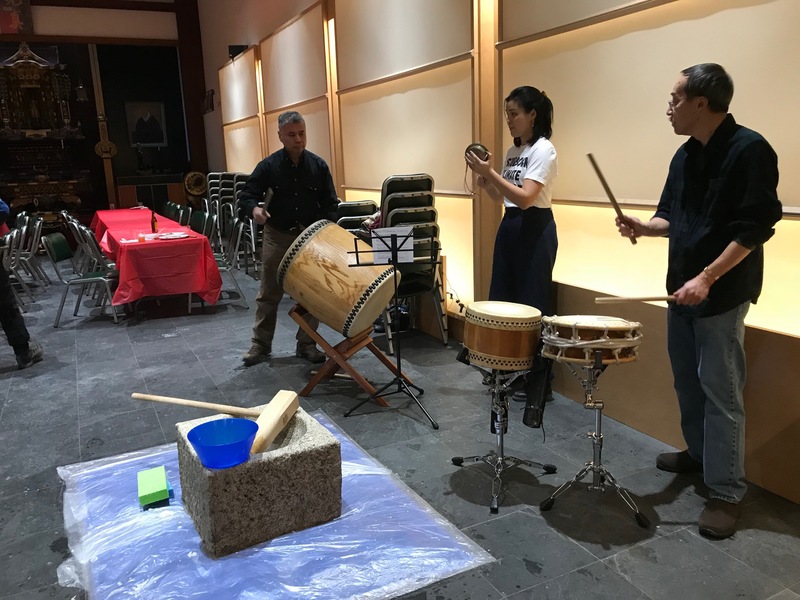 Composed by Yoko Fujimoto, and gifted to Soh Daiko as a symbol of the friendships that she and her husband, Yoshikazu Fujimoto developed with many North American taiko groups, the “Soh Daiko American Mochitsuki Song” (僧太鼓メリケン餅つき唄) has been performed every year since it was taught to us in 2010. Soh Daiko alum and current members jamming together. 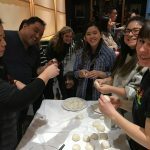 Surrounded by family and friends, making food together, and performing music that embodies our connection with the broader taiko community, we cannot think of a better way to start a fresh new year. We wish everyone a Happy New Year, and the best that 2018 has to offer! Photo courtesy of Kyoko Takenaka. Sakura Matsuri is back at Brooklyn Botanic Garden from Saturday, April 27 to Sunday, April 28, 2019 ! Join us on Saturday, April 27th at 12:00 pm as we head back to Brooklyn Botanic Garden for another beautiful cherry blossom season, surrounded by Sakura Matsuri festivities. We’ll be on the Cherry Esplanade Stage, so stop by amidst your blossom viewing and help us celebrate! Sakura Matsuri, the annual cherry blossom festival at BBG, offers over 60 events and performances that celebrate traditional and contemporary Japanese culture. The festival marks the end of hanami, the Japanese cultural tradition ofcherry blossom viewing. 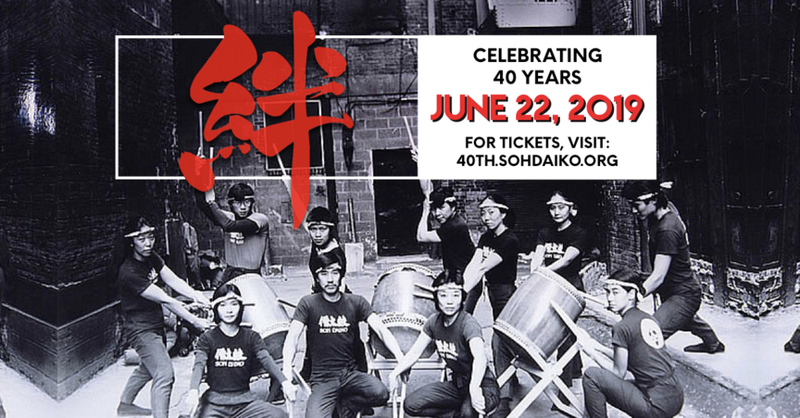 We are excited to announce that on June 22, 2019, Soh Daiko will hold a 40th Anniversary Concert in New York City. Stay tuned throughout the year as we highlight the many members and moments that make up our history, and join us this summer for a milestone event. For tickets and more information about this event, visit 40th.sohdaiko.org and enter promo code HAYAOKI to receive a special early-bird discount. 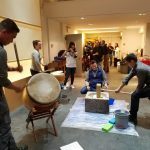 Soh Daiko’s 40th Anniversary Concert is made possible by the New York State Council on the Arts with the support of Governor Andrew M. Cuomo and the New York State Legislature. 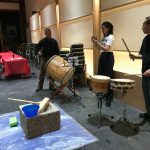 This event is funded in part by the Taiko Community Alliance. on this site is property of Soh Daiko. © 2011-2012. All rights reserved.